Contact lenses are available to treat nearsightedness, farsightedness, astigmatism and presbyopia (the inability to read after age 40). Contact lenses can also be used to enhance or change the color of your eyes. 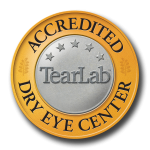 Dr. Reddan and Dr. Stickel will evaluate and prescribe contact lenses for patients. Our ophthalmic team has extensive experience in fitting all types of contact lenses. In fact, we specialize in difficult to fit patients and have had success with many patients who were unsuccessful elsewhere.